Search Engine Optimization (SEO) is an essential key to increasing website visibility and reach. It plays a part of a pie in capturing online leads and increasing revenue. However, the world of SEO is not easy and it’s getting more competitive each day. Furthermore, the algorithm of the search engines keeps on updating to improve quality of search results. Keeping up-to-date with the changes and the new tactics will make sure that you are still in the game. To help you prepare for 2018, here are some of the SEO trends that are believed to dominate next year. According to Statista, the number of mobile users will mean a lot of things in the future. This enabled Google to consider your mobile website as the “real” version. Mobile-friendliness is a major factor in ranking and if the mobile-first indexing gets to get implemented, the importance of mobile SEO is getting more valuable as ever. With the mobile-first indexing looming just around the corner, it is confirmed that the loading speed of a page determines the ranking of a site. Not only will this affect your ranking, it will also affect your user experience (UX). With the fast service that Google gives the searchers, the same searchers expect the same with the sites that they visit. People are getting used to the speedy service that slow page loads can actually make you lose visitors and ranking points. Google had announced that the average time that mobile pages load is about 22 seconds while users will only take 3 seconds of their time to think if they want to stay to wait for your site to load or not. 2017 is the year of the Voice Search. As the use of mobile grew, so does the people using voice search in the Google app. Google reports that more than half the teens and about 41% of adults use voice search on a daily basis in 2014 and the numbers have grown since then. It is also found in the third spot of the 2017 SEO Trends and will hang around for the trends in 2018. Voice search, however, runs in a whole new set of keyword research routine. Instead of unique-sound lingo for queries, opt for the use of normal and conversational sentences. Keeping terrible content on your website will be known. Google uses a machine learning system called RankBrain that assists it in sorting through the search results. It shows that RankBrain measures the relevance of your content through Google searchers Click Through Rate and Dwell Time. The system especially pays attention to the users dwell time of an average of 3 minutes and 10 seconds to make RankBrain believe you have quality content. Other than being relevant, Google’s prime job is to provide Google searchers with the best content or answer to their queries. Therefore, having a long and in-depth content gets you a higher chance of ranking up compared to shorter articles. Links have been the epitome of ranking through the years. However, this 2018, it seems that linkless backlinks are taking the spot of power. SEO spent plenty of time optimizing, while some manipulate, the links that are the serve as the signals that search engines. However, this coming 2018 SEO trend, backlinks may be a thing of the past with linkless backlinks through linkless mentions. Search engines are using these mentions by associating it with brands and that’s how they determine the authority of a site. It is found that Bing is already using linkless mentions for their search engine rankings and it is also believed that Google may also be applying it too. It is specifically mentioned in the patent that the links can be expressed or implied. With the latter calling out to the unlinked brand mentions. Keeping your content exclusively text-based won’t cut it anymore. Reports show that videos and other non-text media will make up 80% of traffic on a site. More and more users are engaging in visual contents, namely images and videos. Approximately 43% of the people wanted more contents with videos or make the content a video. Youtube is the second largest search engine in the world and it’s no surprise that it is also owned by Google. Furthermore, embedding videos in your site’s content may also serve a double purpose. You will get higher CTR as well as longer user dwelling while they are hooked on your video presentation with your content. As Search Engine Result Pages(SERP) features shift to include carousels, ads, and answer boxes, it’s getting challenging to get those organic CTR. Personalized SERPs enters the world of the internet. It has become a new addition that utilizes the searchers browsing history, location, interests and many more. Search engine companies have been implementing these personalized SERPs and their popularity only increases. This trend could put a lot of SEO in a challenging spot especially when searchers have been visiting competitors sites in the past. This will put the competition on top even though your rank has more than improved. 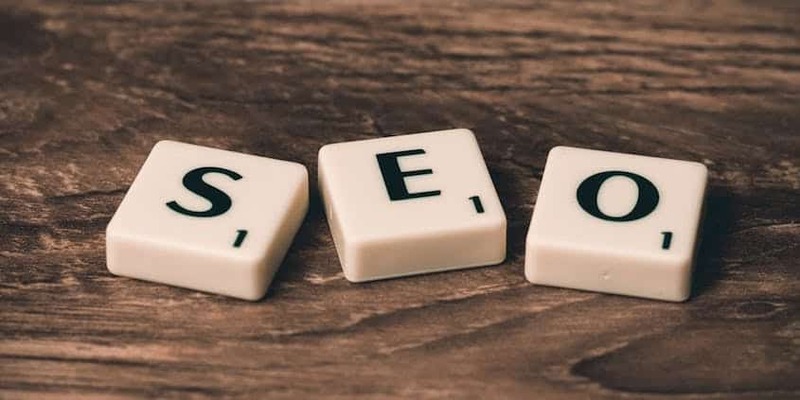 The best move to make is to keep your rank up in an unbiased way and when first-time visitors get to check your site and dwells, you will be added to their preferences for their next search. The internet is home to a rapidly-changing virtual world. Either you try your best to keep up and survive or you get left behind and get crushed. With the growing audience from mobile devices, it does make sense to stick to mobile websites and optimize its UX. Make the move to test the loading speed of the mobile version of your site. There are a more speed testing sites available for you to try and most give feedback on what to improve on. Refine voice search keywords by implementing conversational keywords instead of the usual 3-4 word keyword. Integrate different types of media such as videos and images in your relevant and well-written content. Linkless mentions may be equivalent to nofollow links but they can still be useful for drawing in new customers. Mention your brand within a relevant article. Continue to provide quality service to gain online mentions. SEO greatly impacts a website’s success. Learning and being up to date with it is a great investment to ensure a profitable and thriving industry.